Athletics State Finals – Good luck to Alyssa B and Siona P who have made the discus and shot put final. Our 5/6 Volleyball and boys Basketball teams are into the Western Regional Finals in the coming weeks. Good luck to all competitors. Our 5/6 Girls Tag and Boys Tackle teams are playing off District Rugby League Gala Shield. Good luck! Finally our 3/4 Cricket teams are set to compete against in the T20 Blast Cup in November. 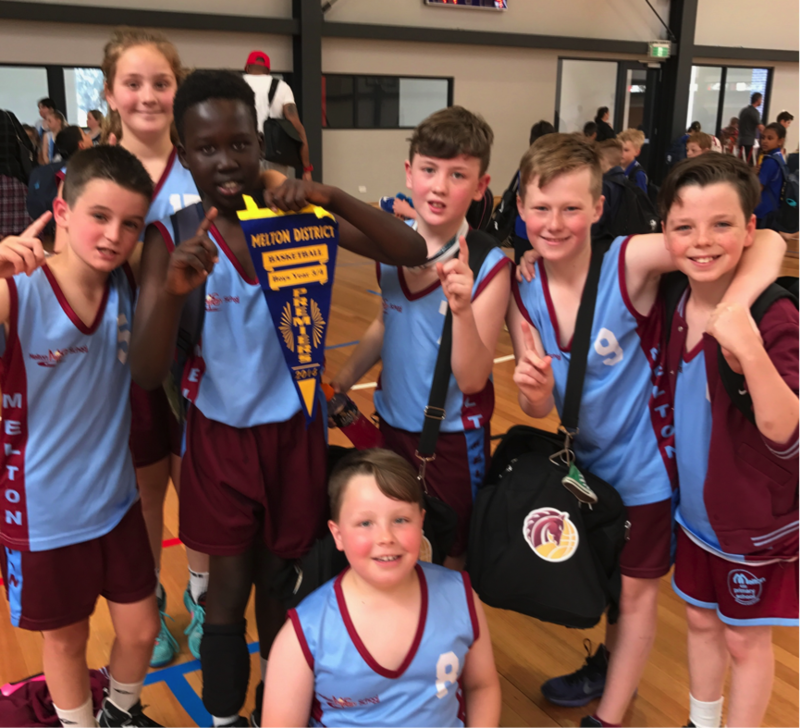 On Monday 17th October our 3/4 Basketball Team dominated the local MPSSA competition and took out the premiership against Wedge Park Primary School in the final by 30 points. Well done to all students who participated and Mr Strachan and Ms Blundell on their coaching. MPS had 5 students represent us during in final. Congratulations to all students, particularly Alyssa B who won GOLD in shot put and discus, Siona P who won GOLD in discus and SILVER in shot put and PJ B winning BRONZE in discus. Good luck in the next round. 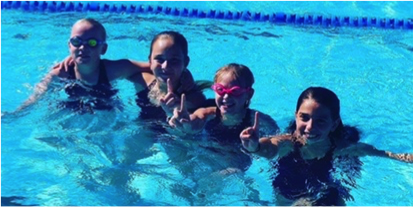 It was another huge year of sports for the students at Melton PS. 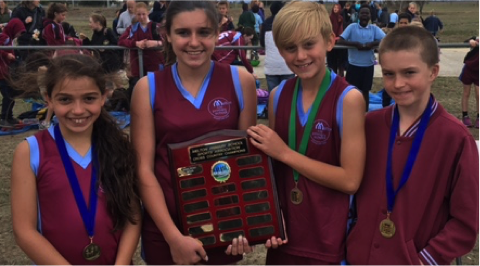 For the second year in a row we won the local grand slam of district shield’s; Swimming, Cross Country and Athletics. What am amazing achievement and absolute credit to our students’ commitment and dedication to training and improving their performances. To all of those who participated congratulations, you should be very proud of your efforts, as Mr Trewavis and I are. Congratulations to all of our year level champions.